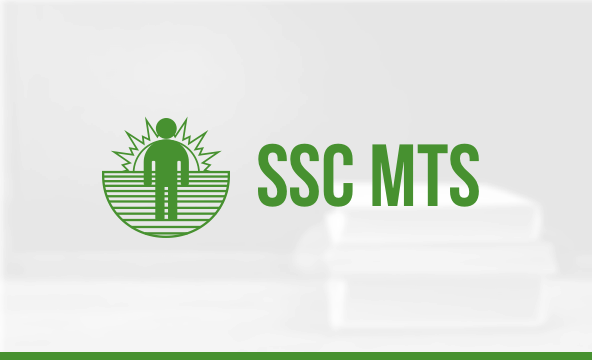 Most of you must be waiting for SSC MTS 2018 notification as it was expected in the first week of November 2018 according to the latest SSC CALENDER FOR EXAM 2018. Although it is delayed yet one should not lose hope as it is going to be released soon. Do not waste your time in waiting for the official notification of SSC MTS 2018 Exam rather make a proper study plan to prepare effectively for it. The latest exam pattern in 2017 had an online mode therefore follow the same while practicing for the exam. English language plays an important role because it a part of Paper I and paper II both. Therefore give more focus to English section and revise all the basic grammar rules. Practice them subsequently by taking topic tests to practice them and understand effectively. General Awareness is a vast section to prepare as it has lot of topics to be learned. Besides static GK, few questions are asked on current events also. Keep a close watch on the latest news and events of National and international level. Subscribe to an educational website where current affairs are shared on daily basis. These portals also hold online quizzes on the same. Participate in those quizzes and test your knowledge. There are many android apps available at Play store of Google, download any one of them and keep yourself updated. Numerical Aptitude section has some important topics to be prepared and not the entire syllabus. Therefore shortlist them by going through previous year question papers and learn them on priority. Topics which are important for SSC MTS Exam are bar, graph, profit and loss, percentage, number system, simplification, etc. Make a systematic study plan according to the availability of your time and follow it regularly. Do not break the schedule or else you will lose interests in studies. Regular touch is a must to prepare effectively for the exam. If you are appearing in any of the competitive exams for the first time then it is advisable to join coaching institute or video course of a reputed educational brand. It will help you prepare in the right direction. Video course is user friendly option these days as one can join while you are doing eight hours job. You can attend the online lectures anytime as the lectures are saved on the portal for your references. One can log in and watch the same. Subscribe to the online test series for regular practice. Online test series provides topic tests, speed tests and mock tests for various government competitive exams. Join any of them and attempt one topic test immediately after learning the topic of the respective subject and get better SSC Course . Hope these tips will help you prepare effectively for the forthcoming SSC MTS Exam 2018. Prepare well and gain confidence by practicing as much as you can!! !